For many years now, debit and credit cards in the United States have been swiped thanks to the magnetic strips on their backs. But what many credit card companies and merchants didn’t realize was that this method opened consumers up to fraudulent charges on their credit cards and bank accounts due to minimal security features. As companies struggled to find solutions, 63% of merchants also dealt with credit card data breaches with their chip-and-pin machines by adding more security or plan to soon. As a result, more credit cards now feature EMV® solutions that do away with the magnetic strips of old and provide more security for consumers. First, what is EMV®? EMV®, which stands for “EuroPay, MasterCard, and Visa,” is a new standard for credit cards that focuses on greater security. The above-named credit card companies are responsible for coming up with this technology in a push to move consumer credit and debit cards to the holographic chips on the cards’ fronts. The EMV® solutions standard is managed by EMVC, a consortium which includes Visa, MasterCard, Discover, JCB, American Express, and China UnionPay. 1. Better consumer security. With around 167 million American adults owning at least one credit card, 42% said that they have experienced some type of fraud with those cards in the past five years. 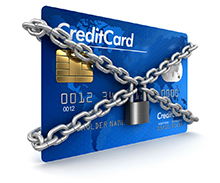 The median fraudulent expenditure totals $399, so EMV®-equipped cards help to stop these unlawful expenditures and save consumers money on dealing with that fraud. 2 Less fraud. Because these chips are so heavily encrypted, there is far less chance for fraud. Magnetic strips have proven easier to duplicate, so this is what fraudulent enterprises have used for their transactions. This technology prevents these cards from being made and used for criminal purposes. Additionally, more businesses also have better credit card authorization thanks to this technology, so that can stop fraud in its tracks. 3. Technological advances. As EMV® becomes more popular among credit card merchant processing services, there is more advancement in PCI compliance and payment technology. This means that consumers have more choices for spending, businesses have better and more secure technology, and new jobs are created to develop and maintain these systems. Need to know more about EMV® cards and other solutions? Get in touch with us today.